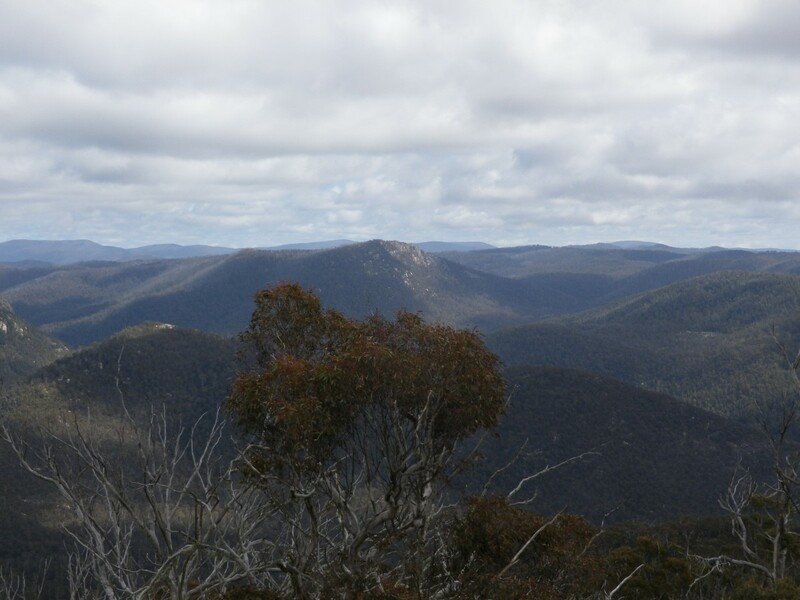 To support the anniversary activity for SOTA in VK2 I activated three VK2 summits on 6th September. South Black Range, summit code VK2/ST-006 was first as it was the quickest to get to from my home in Yass. I left home just after 7am and drove to Murrumbateman, then via the Gundaroo road to Bungendore, then to Hoskinstown south of Bungendore. 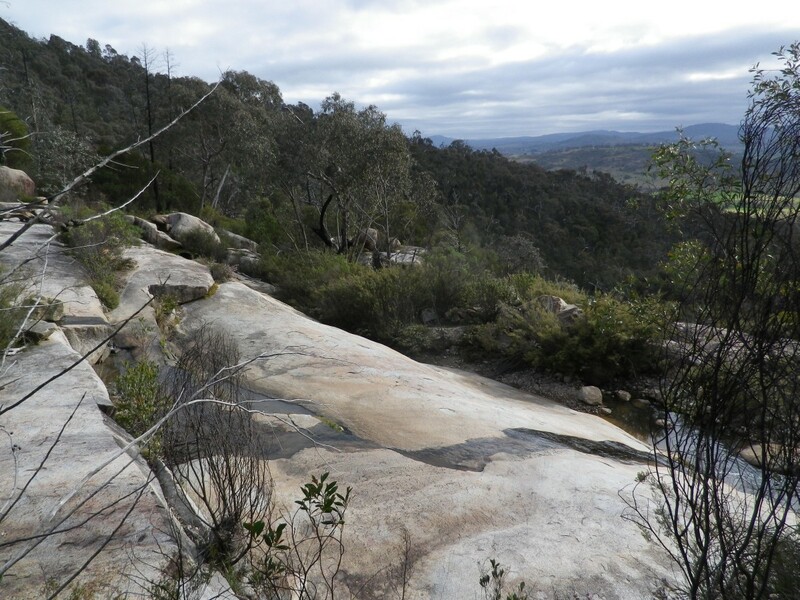 From Hoskinstown I took Forbes Creek road for about 10km until reaching the South Black Range forest trail. 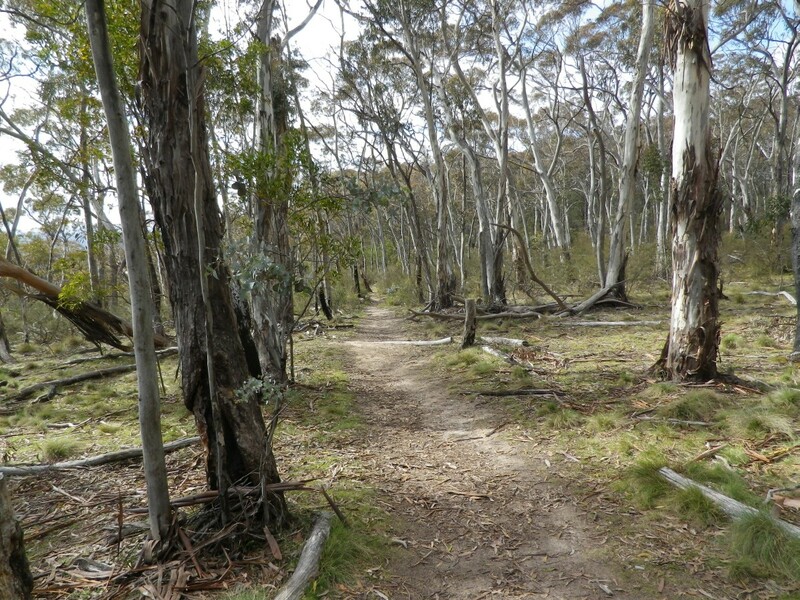 The track up to the summit is at about 1200m ASL and heads approx westerly. It is quite narrow at first but opens out gradually. I parked my car about half way up to the summit and proceeded on foot. 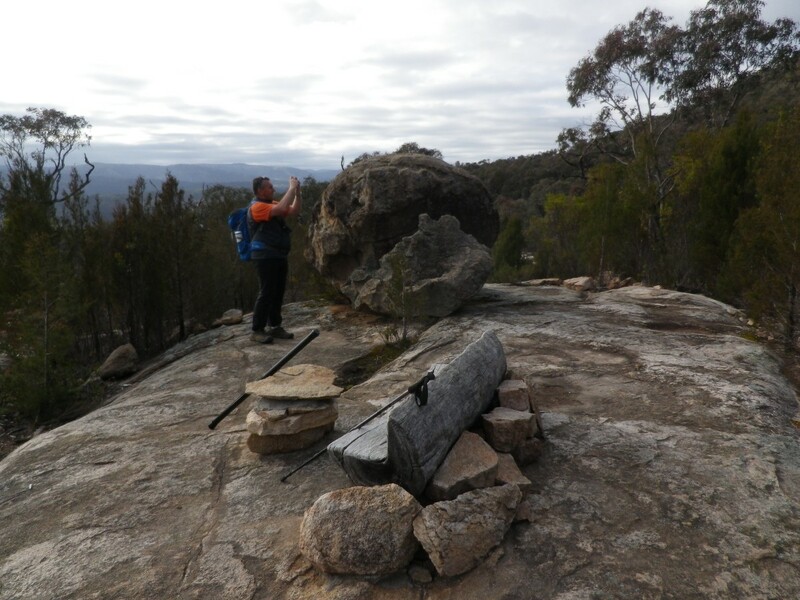 There is a huge granite boulder at the summit and I guess surveyors considered that to be the real top of the mountain so they placed the trig point and a summit cairn on top of the boulder. 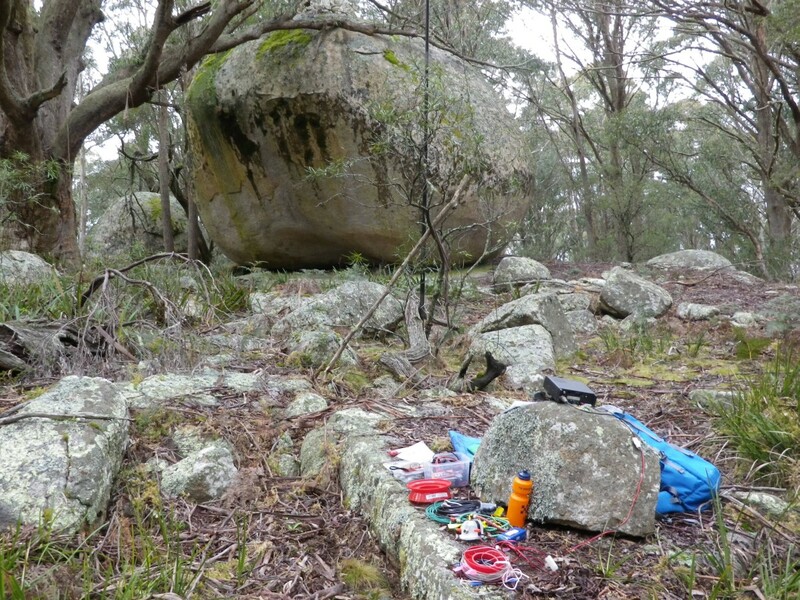 I set up slightly north of the boulder and soon had my antenna up and the radio buzzing with signals. It was shortly before 0000 UTC so I ran through the chaser list very quickly, making sure everyone calling had a chance to put this summit into their log for the 5th Sept UTC. Then the same process after 0000. I tried 20m after running out of chasers on 40m. 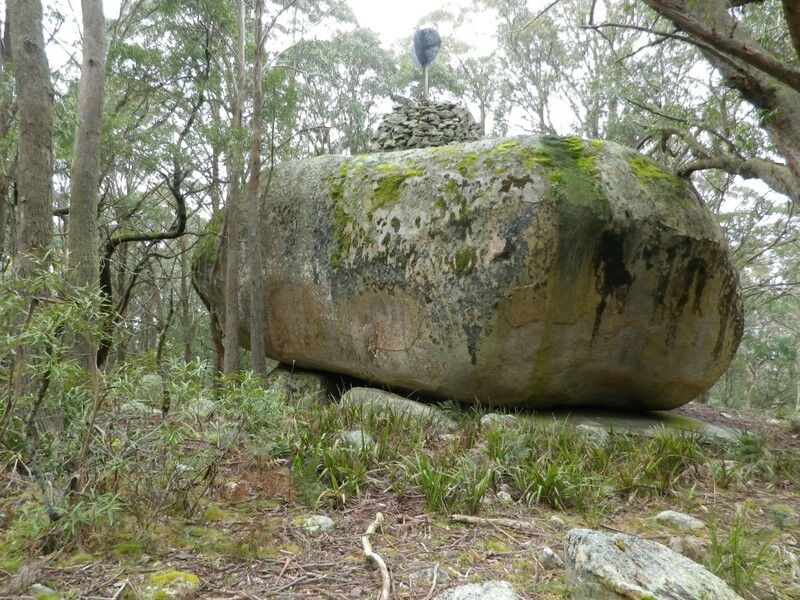 The only contacts made were with VK1 home stations – noticed a spot stating that I could not be heard in northern NSW. At that time I had not yet transmitted on 20m but after I had made a few local contacts, there were no other calls, so clearly conditions on 20m were not supporting longer distances at that time. 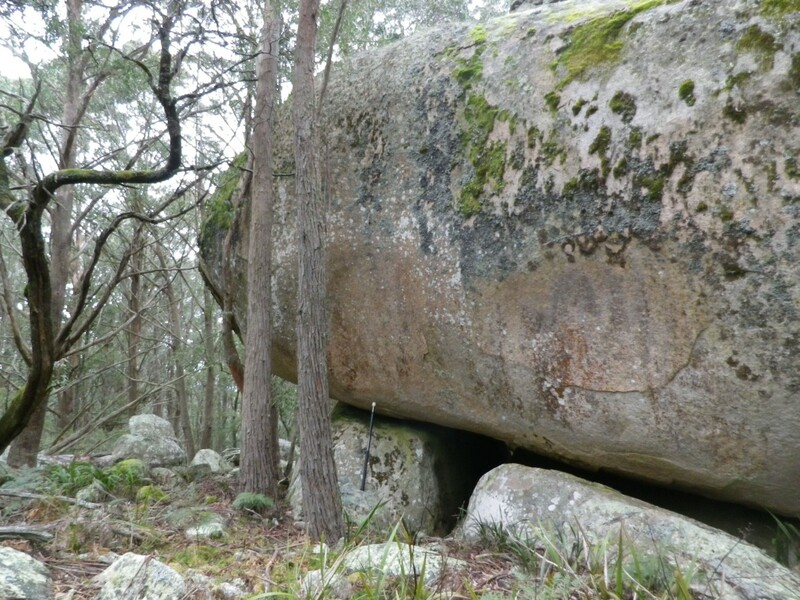 After completing the radio operation I packed up and then took a few more pictures of the rock and the forest as I walked back to the car. 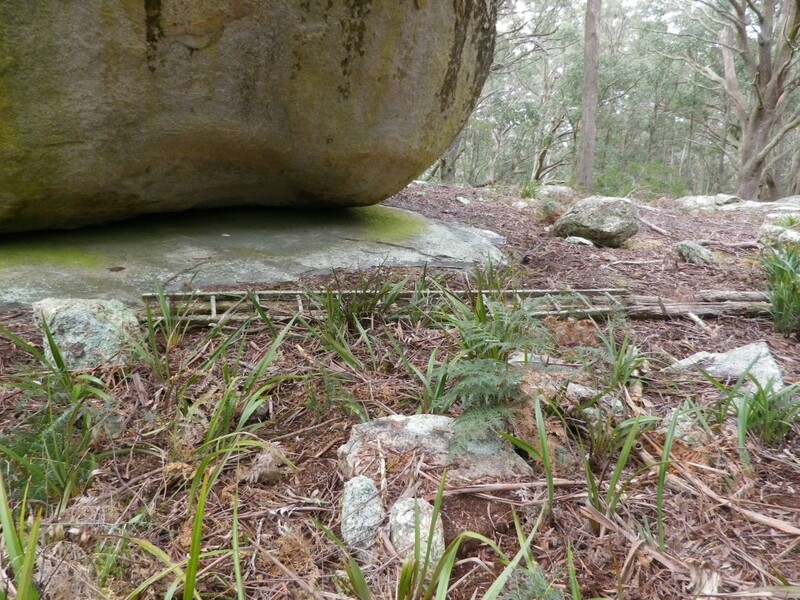 A very old ladder, possibly a relic of the original survey placement, was rotting on the ground next to the rock. I placed my squid pole, about 1.2m length against the rock as a contextual measuring stick. maybe I should have extended the squid pole to its 7m length as a better measure. Something for next time. 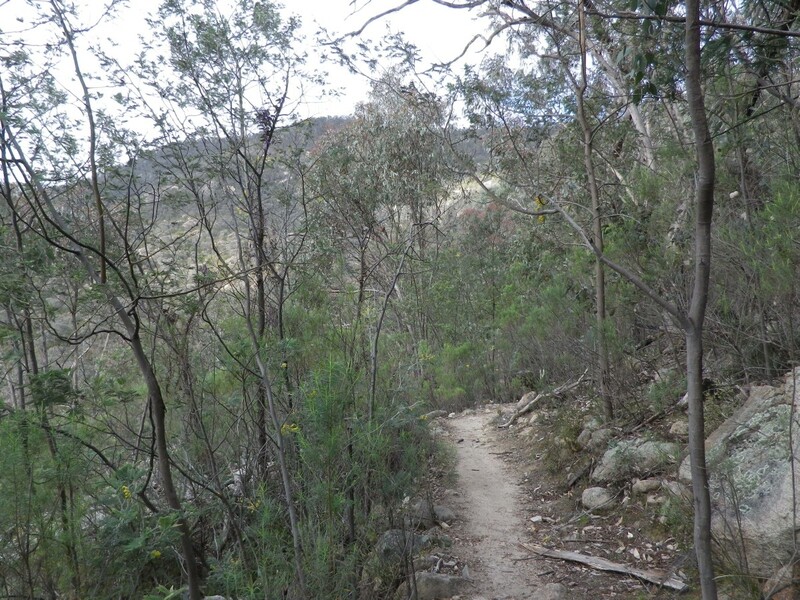 After returning to the “main road”, a gravel forest road, I wanted to use forest roads and trails to Mt Cowangerong, summit code VK2/ST-001. 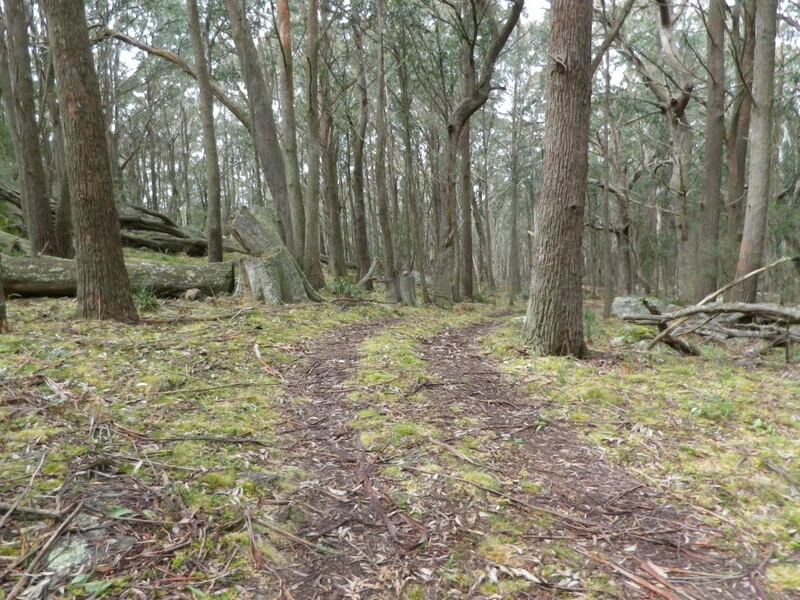 This took me longer than I had expected, the condition of the forest tracks was wet and slightly muddy in places. I was taking my time and not trying anything heroic. Possibly a better map would have made this a quicker trip, however I was enjoying driving a car with better clearance and with 4WD capability. 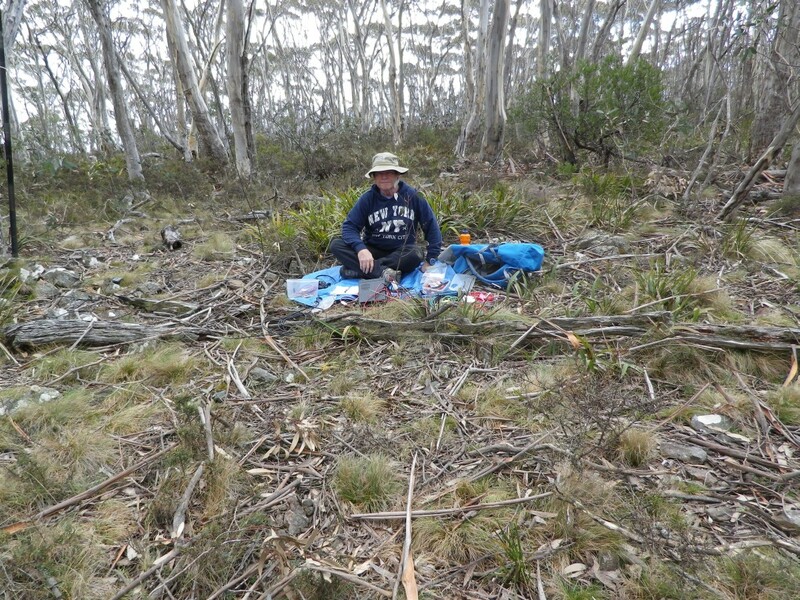 At Mt Cowangerong I decided to set up on the north side of the weather radar clearing. I had experienced some interference on 40m when operating near the compound last year, so wanted to see whether keeping further away from the building reduced the interference. 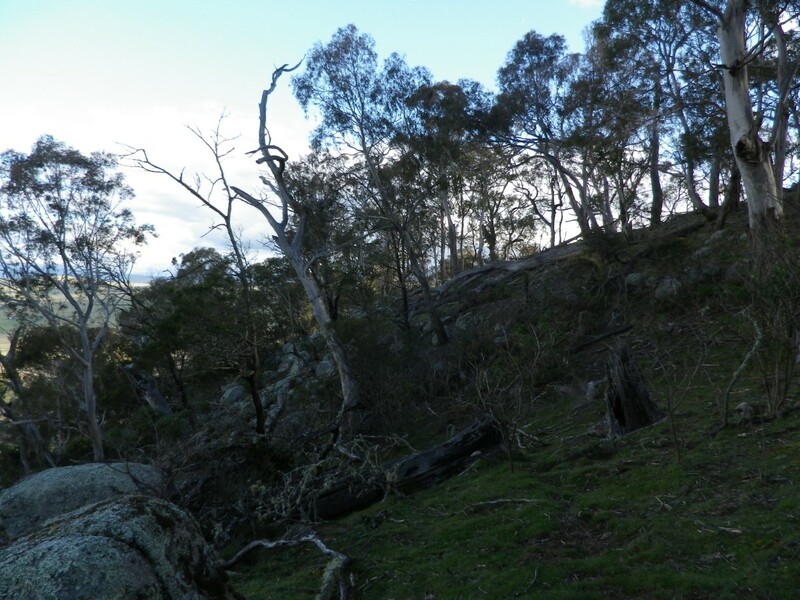 The spot I chose was just after the power pole you pass on the track up to the summit, several hundred metres short of the compound and about 20m off to the north east of the track, in a clearing of sorts there. I could see the tower through the trees, though my photos only just capture the tower base. This position was very quiet and I had no noticeable interference. Contacts made from this summit: 35. After this activation I returned to the car where it was parked down the track, headed to Braidwood and had a welcome cup of coffee with a hot pastie and a danish pastry. 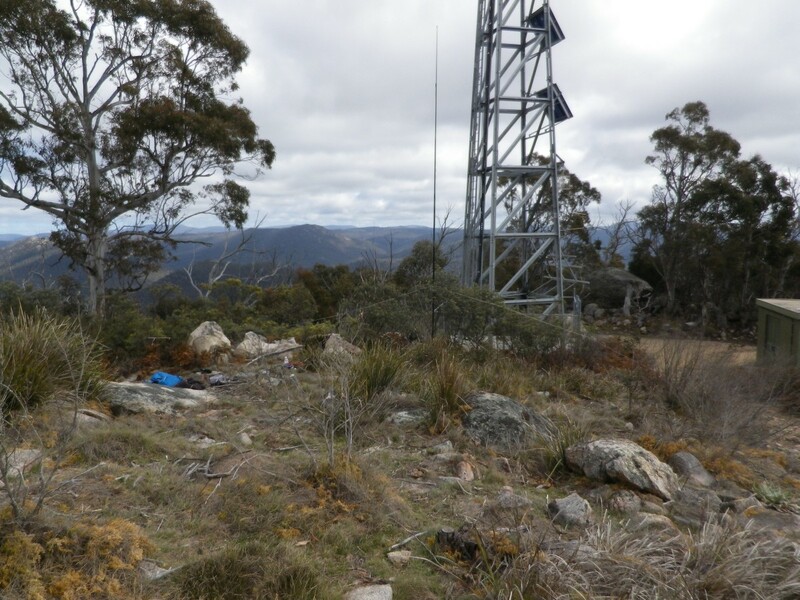 There I decided I could still activate Mt Gillamatong, VK2/ST-034 before dark, so I posted an alert on SOTAWATCH for a 20m operation. My radio friends Andrew VK1NAM and Ian VK1DI had both activated this summit. From the town it looked quite prominent with steep sides. 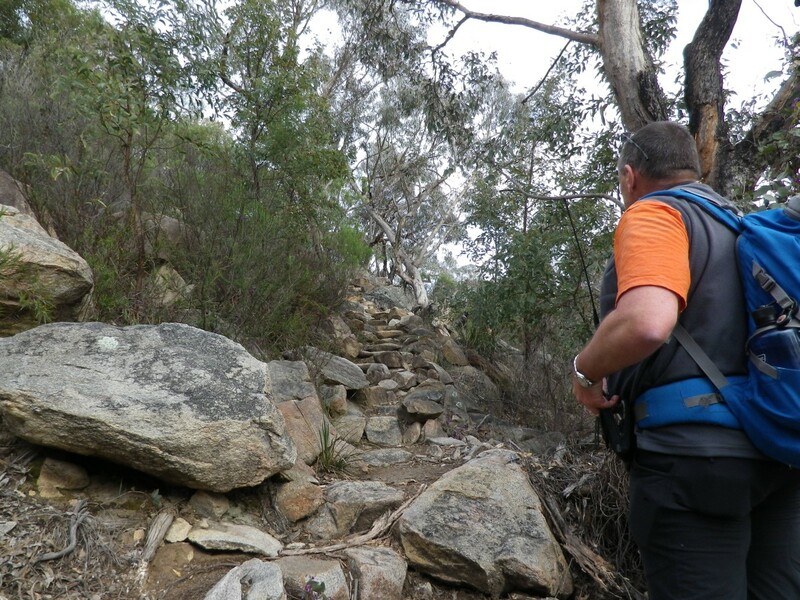 The descriptions of their activations mentioned that it was a steeper climb than they had expected. They are not wrong. 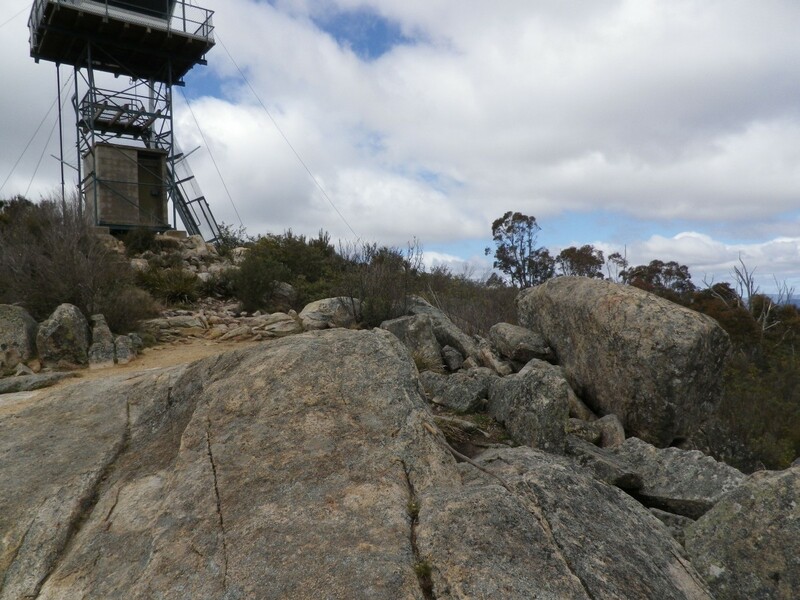 It took me about 30 minutes to get to a point near the top, I estimated about 10m lower than the comms building, so it was within the activation zone. I set up the 20m vertical and checked SOTAWATCH for activity. I eventually worked a number of European stations including some activators on SOTA summits, which I was very happy about. Also worked Gerard VK2IO on a summit in France. This was done using my IC703 running 10w output. I heard several other VK activators, working Andrew VK1NAM at the noise level, but was unable to hear VK1MBE who was in the Northern Rivers area of VK2. Others worked included Mike 2E0YYY, always an enthusiastic contact. Contacts made: 18, including several s2s contacts in Europe and one s2s with VK1NAM. 10 ssb contacts and 8 CW contacts into Europe. Finally I packed up at about 5:30 local time, 0730 UTC, as it was getting noticeably cooler and I could see that the sunlight was fading as we moved towards sunset. I was on the eastern side of the hill so sunlight was fading even faster. I got back to the car just before 6pm and was able to SMS my wife and to Andrew VK1NAM, telling them I was back in the car and about to set off home. The trip home from Braidwood to Yass was about 1H40. Some pics from Mt Gillamatong. Total contacts for the day, 112. 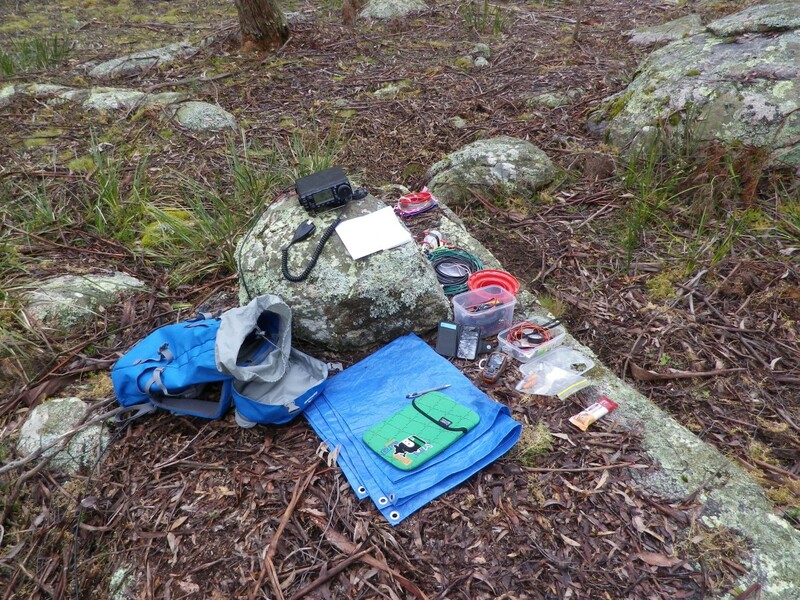 SOTA operation is a unique combination of portable operation based on backpacked equipment and antennas, with all power from battery or solar sources. 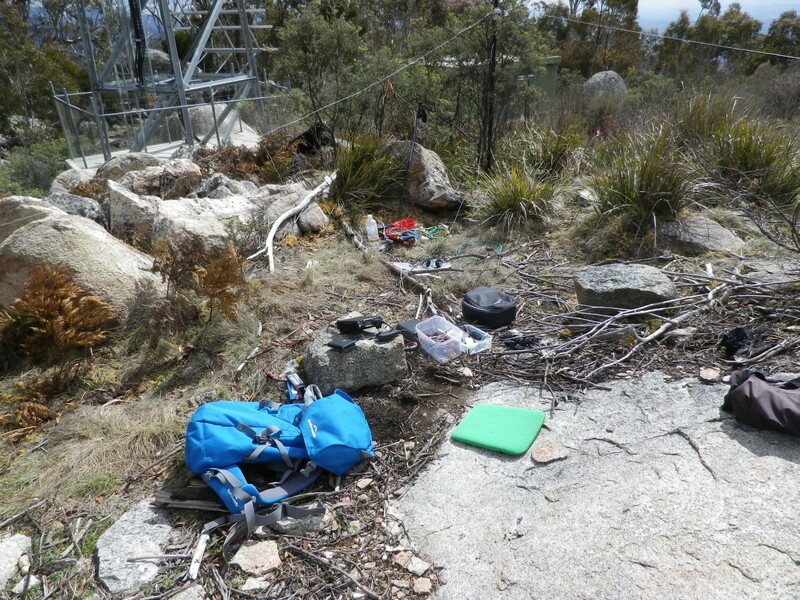 It is nearly always a pleasant experience to operate a backpack radio station from a hilltop. I highly recommend it as an antidote for the suburban interference blues, a condition endured by many amateur radio operators making it problematic or impossible to operate from the typical suburban block. 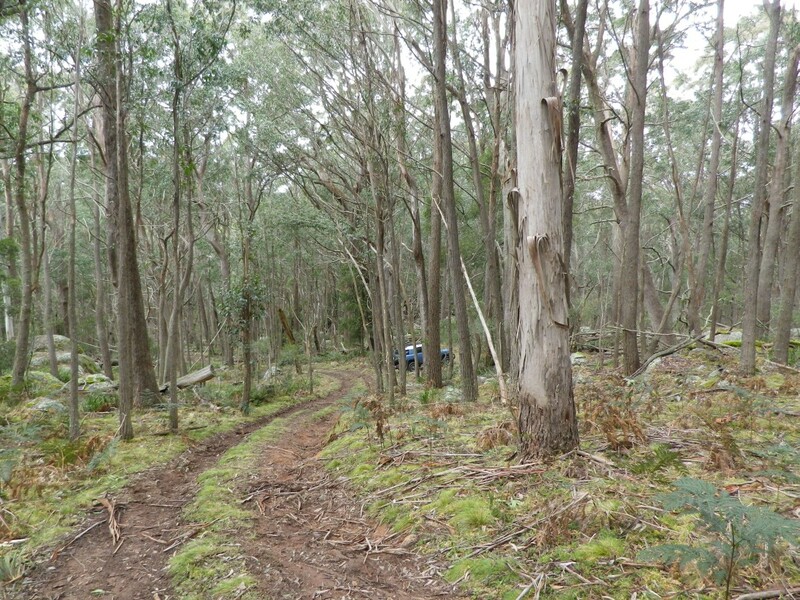 See the links section of this blog for information about SOTA world wide and SOTA in Australia.